Install the crankshaft balancer bolt. 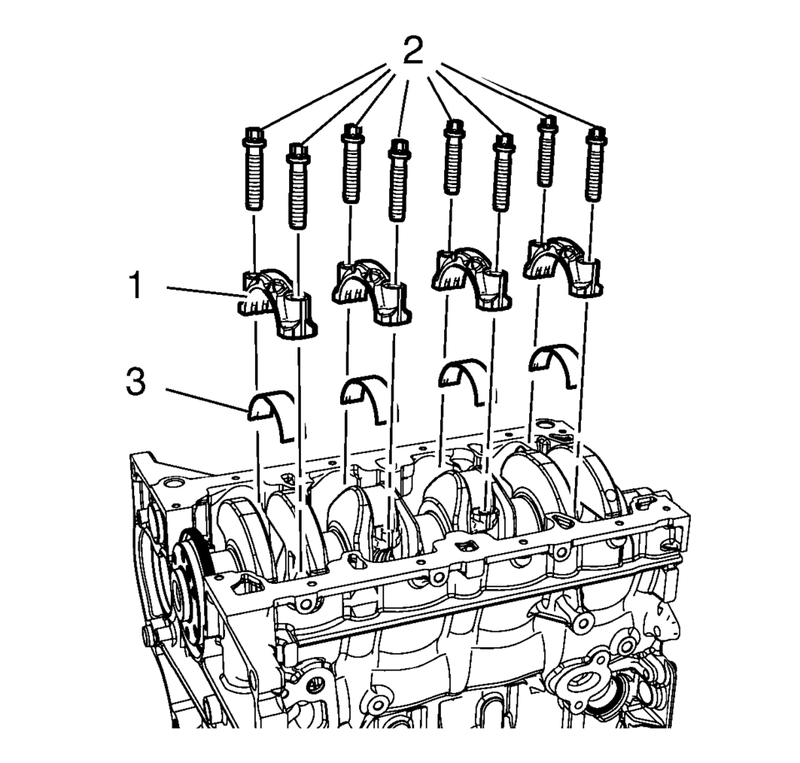 Set the pistons 1 and 4 to TDC in direction of engine rotation. Mark the connecting rod with the connecting rod bearing cover (1). Remove the 4 connecting rod bearing caps bolts (2) of cylinder 1 and 4. 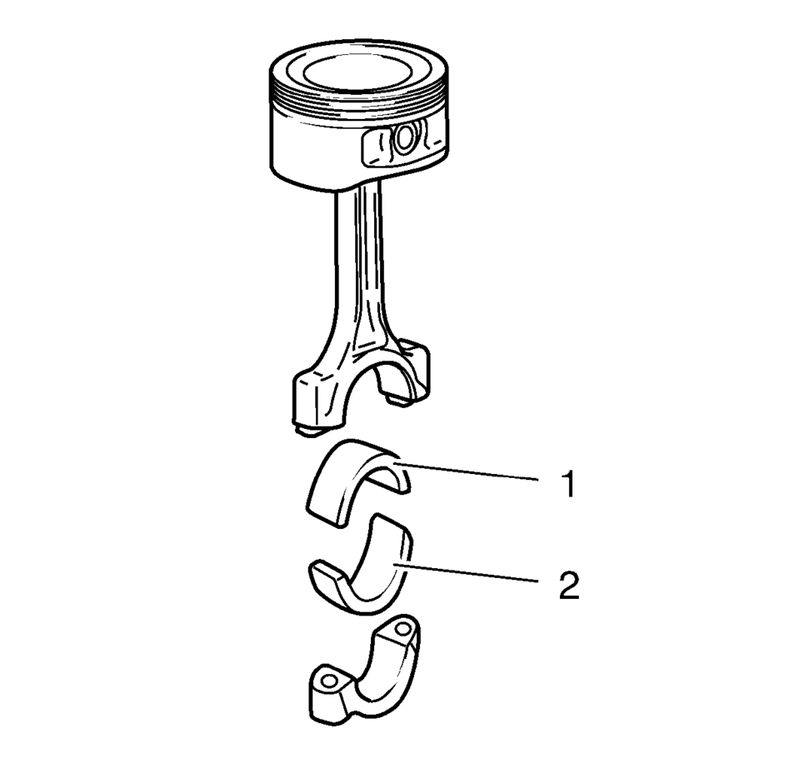 Remove the connecting rod bearing caps (1) and the connecting rod bearing (3). 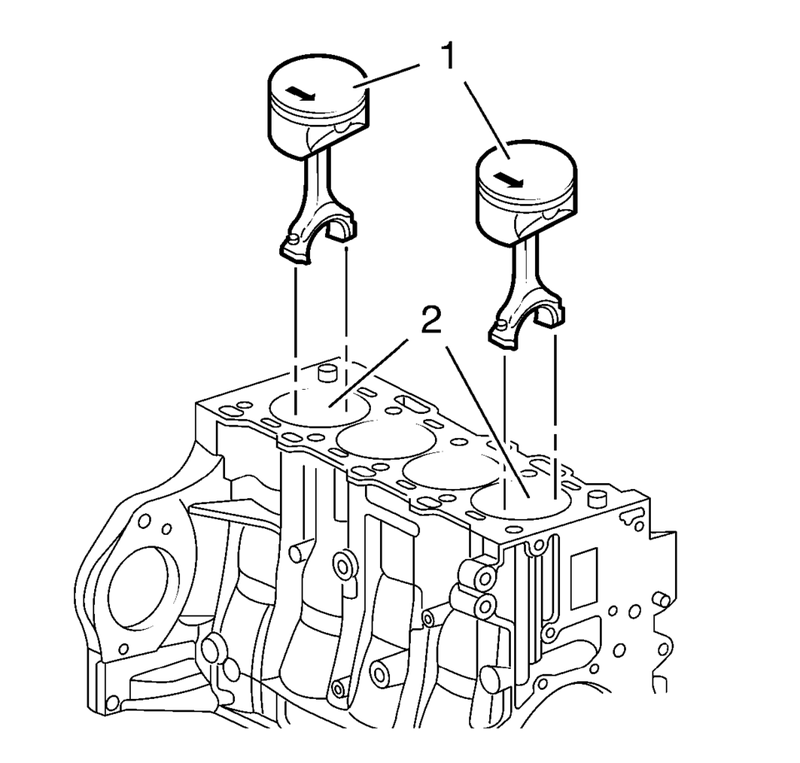 Push the pistons 1 and 4 (1) out of the cylinder bore (2). The shear surfaces of the con-rod and the con-rod bearing cover form a unique fit and must not be swapped or damaged. Do not lay down on the shear surfaces. Remove the pistons 1 and 4 (1). Turn crankshaft on crankshaft balancer through 180° in direction of rotation of engine. Remove the 4 connecting rod bearing caps bolts (2) of cylinder 2 and 3. 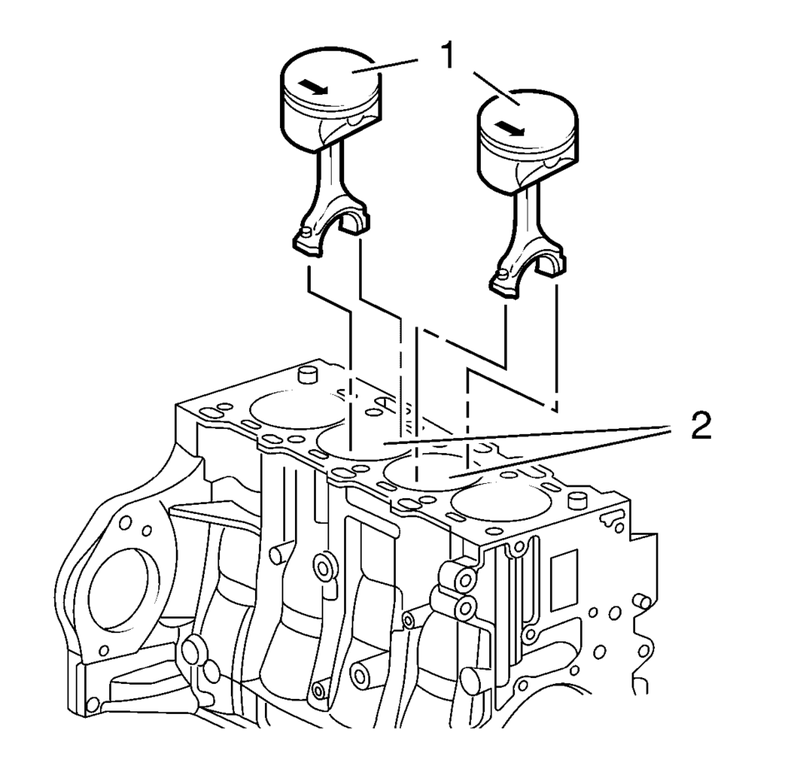 Push the pistons 2 and 3 (1) out of the cylinder bore (2). Remove the pistons 2 and 3 (1). Observe correct fitting position, observe alignment. 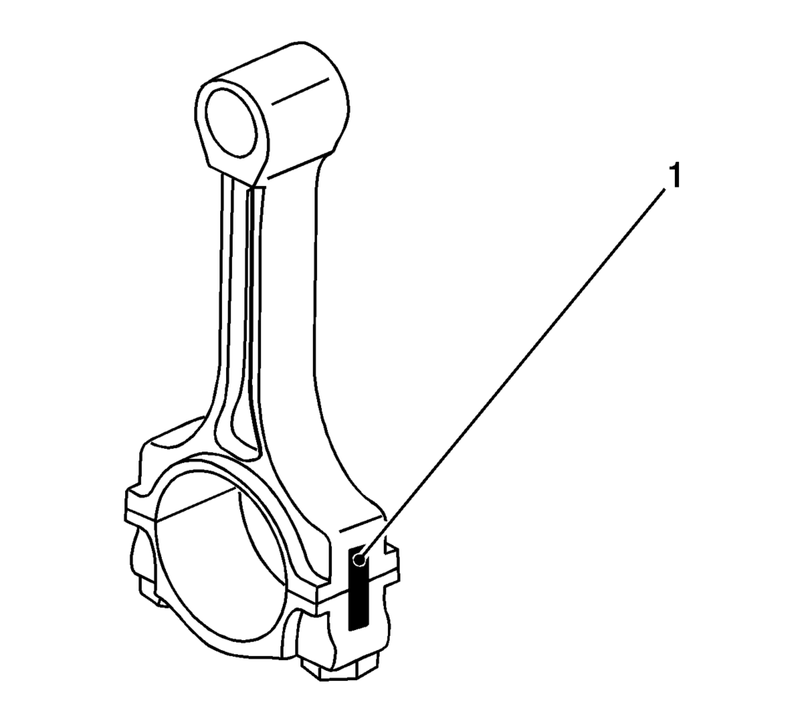 Remove the connecting rod bearing (1, 2). Check the components. Refer to Piston, Connecting Rod, and Bearing Cleaning and Inspection.